I remember the thrill of buying my first Korean BB cream back in 2011 - Skin79 Hot Pink Super Plus BB Cream SPF25 ++. It was nearly impossible to find K Beauty products in Canada back then, so I would resort to blogger swatches and shopping online. After going through 3 full bottles, I decided to explore more North American options to keep things within reach for the main readership of my blog. I innocently found myself walking into Jealousy Beauty on Queen Street one day during my lunch break, and I was in. heaven. There's something so kitschy and cute about Japanese everything (I'm looking at you, cheesecake) so naturally I wanted one of everything. 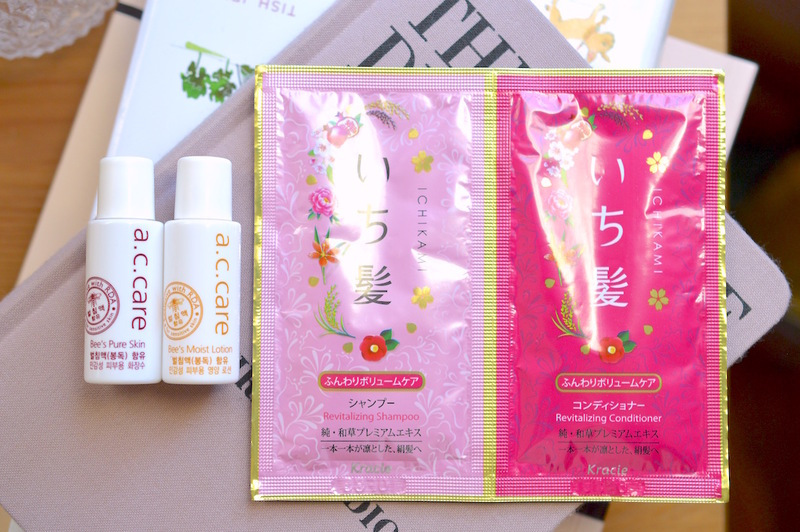 Skincare is huge in both Japan and Korea, so I love trying all of the innovative products that beauty buffs in Asia swear by. I held back on my first visit, and only picked up some "essentials". My brother-in-law's mother is just as much of a skincare junkie as yours truly, and I was over the moon when she brought back some single-use packets of bath salts from a recent trip to Japan. The soft milky water that these luscious salts create is addictive, so I picked up a big tub of these salts at Jealousy Beauty ($15). A little goes a very long way with this magical powder, and only a small handful will do. The scent is super strong, but totally soothing. I chose the pink variety that looked to be skin smoothing and moisturizing. There were a few others that included menthol for when you're sick, honey for very dry skin, and grape for who knows what. Though I can't read anything on the package. the ingredients are written on the top sticker in English. 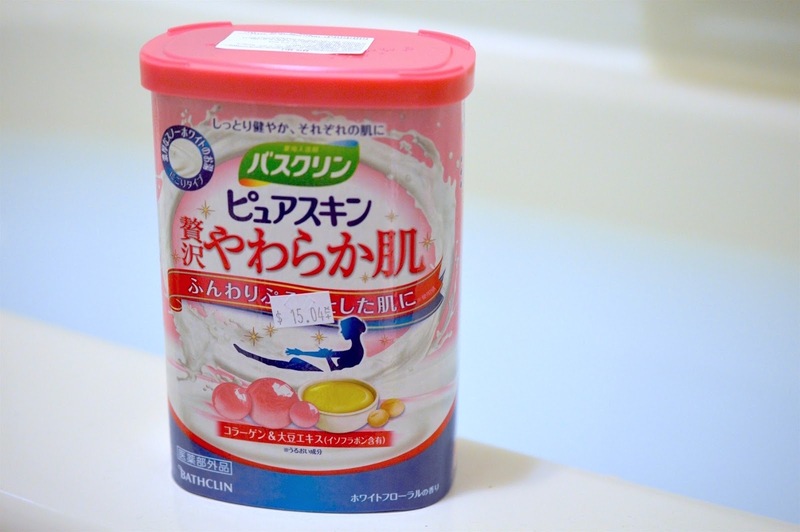 Many people in Japan will take a bath every night since soaking in warm water with these dissolved salts relieves fatigue and stress, while boasting a ton of other health benefits. Hello, improved circulation. 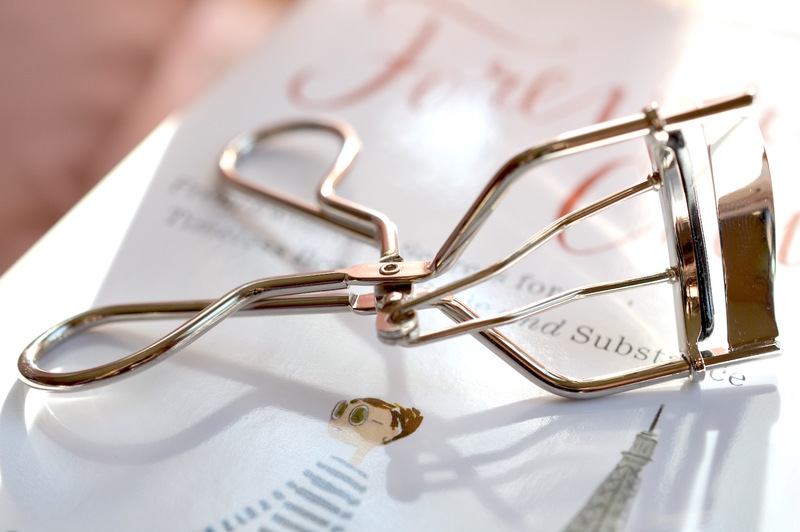 Where makeup is concerned, I'm all about eyelash curlers. My lashes are a bit pointy-downy, so I've tried many varieties. 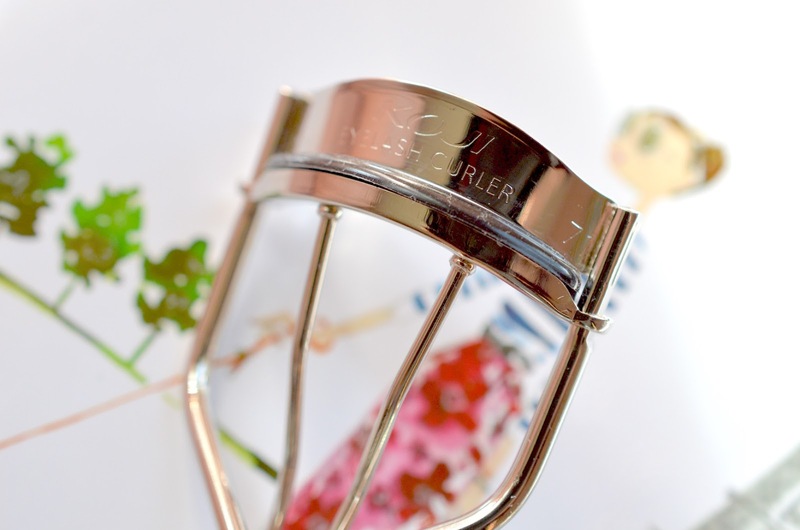 I'm a longtime fan of Shu Uemura's classic curler ($24), and I've been trying the Surratt Relevée ($30) which I had purchased for $27 before the price went up in Canada. 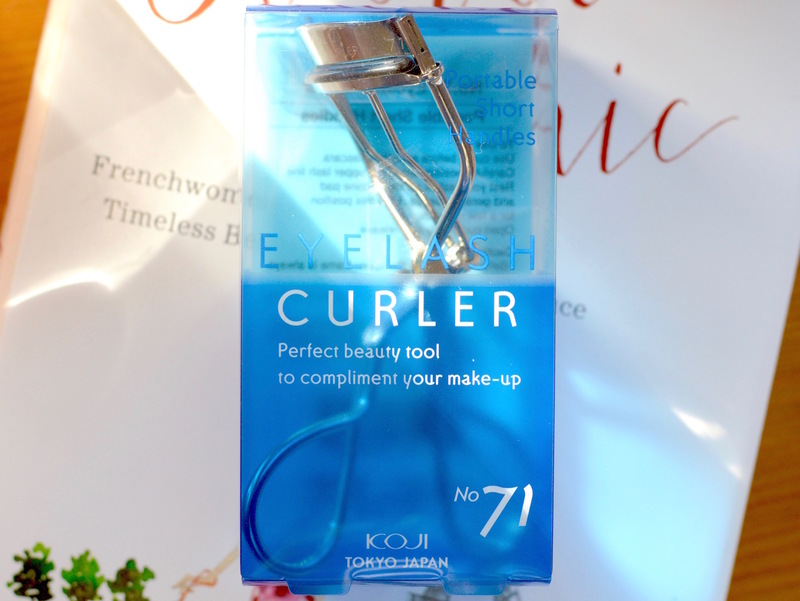 Though it isn't as well made as the Shu Uemura curler, this one from KOJI works very well for the price ($12). The shape is flat enough so that it evenly curls my lashes without tugging, and it comes with a replacement pad. My next find was in the little knickknack section close to the cash (like usual) where I saw the cutest nail clippers. The nail clippers are very good quality, and quite unique compared to my typical Revlon ones. I really enjoy the sharp edges that cut effortlessly. I also can't get enough of the blue removable case that will catch your clippings so they aren't flying all over. I love the retro blue plastic, the super smooth hinge, and flush 70s design. Note: remove the cover when you're clipping toenails, since they can impede on vision and cause you to remove precious skin instead of excess nail. Best part about shopping in-store? Samples! Also on my list of things to try is the Cure Natural Aqua Peeling Gel (link). I'm feeling a bit hesitant with the $50 price tag since the Mild Papaya Peeling alternative from The Face Shop ($17) worked great when I tried a sample earlier in the summer. 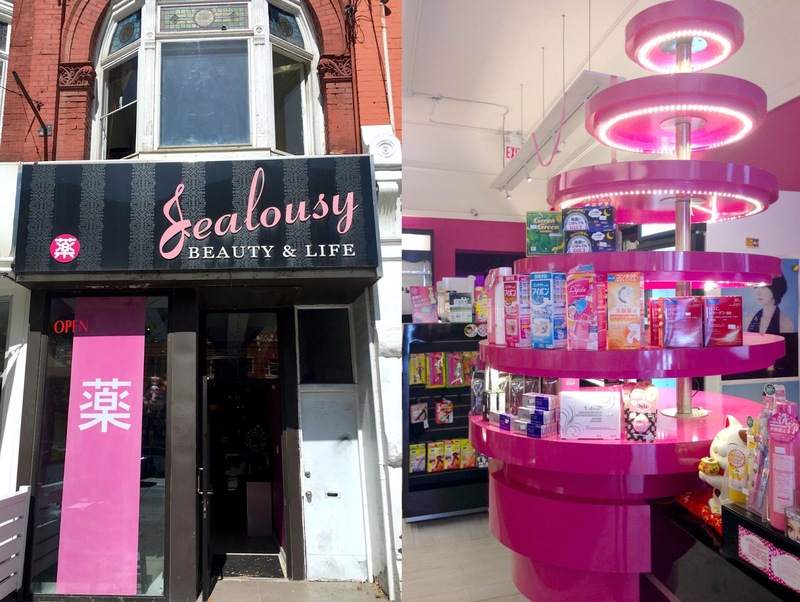 Though the prices at Jealousy Beauty & Life are slightly inflated compared to online shops like Amazon and eBay, there's something so satisfying about shopping in a store. I find that it's much easier to be selective when you get to touch and try products before they show up at your doorstep. The sales associates were so sweet (Hi Sophie!) and I can't wait to go back for some more beauty goodies.